As you may have read on my blog income and stats reports, August 2015 will be officially my 3rd month of being a blogger. I can honestly say in this short time, my life has changed. A lot of my time goes to writing, maintaining the blog and keeping up with communications that I receive from you all and other bloggers. In this short time I have had the privilege of communicating with a lot of other investors, readers and bloggers. I have discovered tons of other blogs as well that concentrate on early retirement and personal finance. They have been great to read and learn from. During this time I have also seen how important it is to get my name out there and network with as many bloggers as I can. 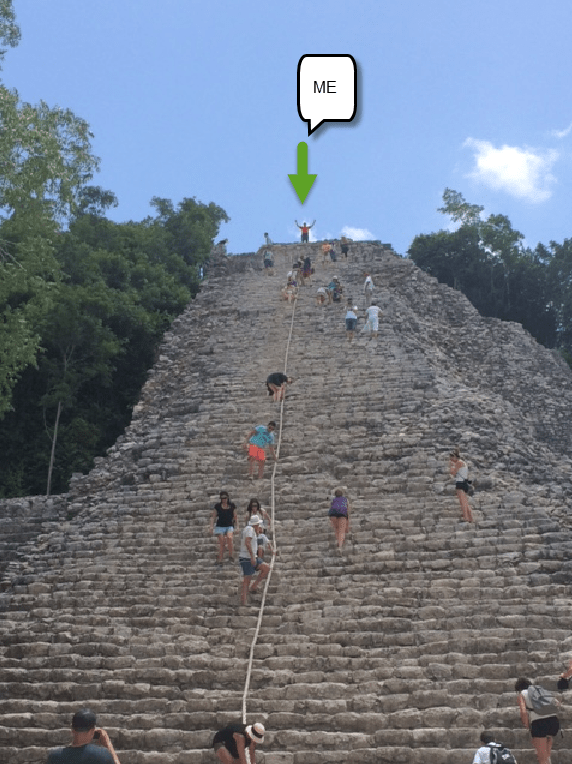 It just so happens that this past week, I was on vacation in Mexico so I had very little time to work on the blog as I soaked in the sun, beach and Mayan Ruins. It was a fantastic trip and I really enjoyed it. 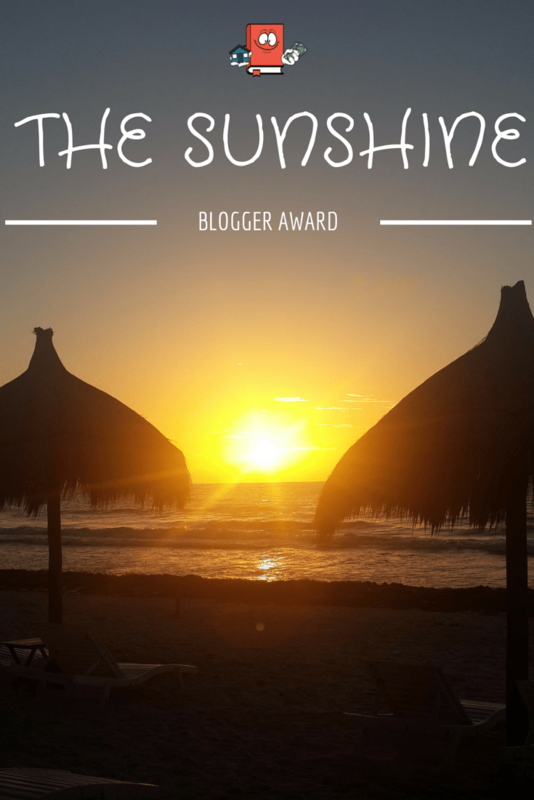 While I was on the trip I was nominated by Messy Money for the Sunshine Blogger Award. How fitting that I am nominated for the “sunshine” award as I was literally soaking in the sun on the beach. I am humbled to be nominated and wanted to give a shout out to Messy Money for nominating me. Thanks so much Messy Money!! 1) Acknowledge and thank the nominating blogger. 2) Answer the random questions from the person that nominated me. 3) Nominate and notify other bloggers of my choosing for the award. 4) Provide new questions for the other bloggers I nominate. 1) Is blogging what you thought it would be? Why or why not? I had very little expectations on what blogging would be like because I don’t personally know any other bloggers and have never done something like this before. So with that being said, I have come on board as an open book and willing to learn and discover all the greatness that comes with blogging. It is definitely more time-consuming then I would have guessed but I find myself truly enjoying it so far. It is a way for me to get my creative juices flowing and is keeping me highly motivated to build enough passive income for early retirement. That was one of my primary reasons I started a blog to begin with and I’m happy to share that it is working out as planned. 2) Describe something you have done recently to save money? Saving money is part of the game when it comes to getting on the path of early retirement so I have been on the saving money train for a while now. I try to not to splurge and spend unnecessary money as much as possible however I admit when it comes to certain things like travelling it really puts a dent on my savings. Lately, what I have done to save money is limit the amount of restaurants my girl friend and I go to. For the past few months we have been on an awesome cooking from home plan. We have discovered that my girl friend is an amazing cook and it gives us more time to spend with each other. It is sort of like a hobby we have and it’s great. My favorite book is and always will be Rich Dad Poor Dad by Robert Kiyosaki because that is the book that set me on this path to financial freedom. If I had not read that book, there is no way I would have what I have today in assets and finances. 4) Tell us about a personal extravagance or indulgence that is totally worth it, as far as you are concerned. Travel by far is my personal extravagance and indulgence that I can not get enough of. When I was 5 years old, my parents took me out of the country and I have been in love with travelling, learning and experiencing different cultures. I love to travel internationally. As I mentioned above, I just got back from Mexico literally a few days ago and I was in Canada just a few weeks ago. All for pleasure. To date, I have now been to 23 different countries/principalities. As long as I’m concerned, I don’t plan on stopping this but we’ll see what happens as I get older. Here is a picture of me from this past week where I climbed to the very top of an ancient Mayan Ruin in Coba, Mexico. It was astonishing being around such history. Ha, this is a super random question but I love it. Not sure if this counts as a spice but I am a big fan of spicy food. I seem to put hot sauce on everything! I don’t go one day without eating something spicy it seems like. Jalapenos, habaneros, all kinds of hot sauces and I have even tried Ghost Pepper sauce multiple times which is one of the hottest peppers out there. I Love, Love, Love spicy!!! Those were all the questions provided to me so now I will go ahead and nominate a few other bloggers. For the nominees, if you have already been nominated in the past please feel free to disregard or if you don’t want to participate, that is okay too. Here are some bloggers I have had communications with and am looking forward to see how their blogs progress. Some of these bloggers are already well established and for those, I plan to continue to follow them. These bloggers would make for a great choice and I am more than happy to nominate them. 1) Gen Y Finance Guy – I reached out to Dom literally just a few weeks after I started Cash Flow Diaries and he was able to provide me some pointers to get started. Thanks a lot Dom! 2) Unplanned Finance – Hannah and I both were just recently awarded a FREE pass to this year’s FinCon 2015 event to take place in Charlotte. We both periodically check up on each other’s blogs and I’m hoping I can meet Hannah the FinCon Event. I still have to work out logistics and confirm I can actually go but if I do go and you go, we should chat! 3) Even Steven Money – Thanks to Even Steven, I discovered the FREE contest to win the FinCon pass. So thanks Steven for posting your win a trip to fin con post! I was selected and am super excited about attending. I nominate you for the Sunshine Blogger Award. 4) Retire29 – Eric and I have been reading each other’s blogs and commenting on each others posts. He too is on the path to Financial Independence and I am looking forward to see how his blog progresses. This one is for you Eric! 5) Root of Good – I am a big fan of Root of Good. He is living the good life already and I love the travelling he does with his family as well the financial blog posts. It would be a ton of fun to learn these new questions I provided below about Root of Good. 6) Mr 1500 – Last but certainly not least. I was featured on Mr 1500’s blog last month when I answered his 10 Question Interview and it was a good boost of traffic. I thought this would be a good time to get to know a little more details about Mr 1500 with these new questions. 1) Where is the coolest place you have traveled to? 2) How long have you been blogging and what is your end result with your blog? 3) What is your favorite home cooked meal? 4) What is your favorite restaurant? 5) Do you have pets? And if so, what kind and why do you love them so much? If you were not nominated, no worries, feel free to answer some of these cool new questions and respond in the comments below. Thanks for your support on helping me build a better blog. Thanks for participating. 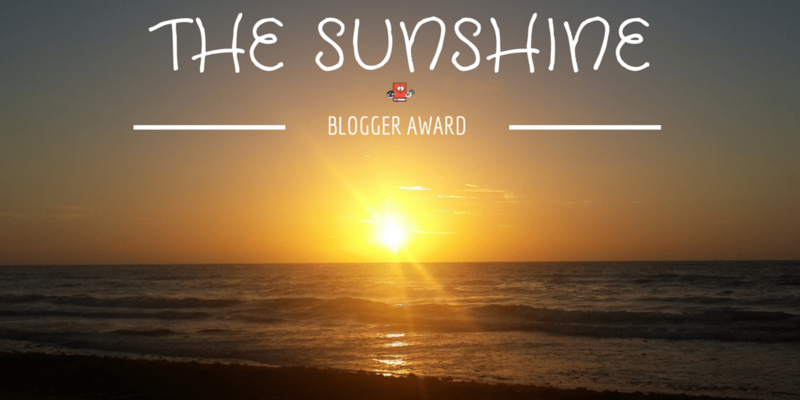 Always great to hear more about fellow bloggers and see more nominations. Shameful confession- I have never read Rich Dad Poor Dad, which is sacrilege since I am a PF blogger. Must go to library…. Hi May! Thanks for nominating me to begin with! It’s fun to get to know other bloggers and these types of questions are a great way to do that. I cant believe you have never read Rich Dad!?! Shocked!! 😉 Ha, you should read it. That’s awesome that you won the Fincon tickets, I hope it was from my website link, only because it makes me think I was the helping hand! Thanks for the Sunshine! Yes Im very excited about the FinCon event. Trying to work out the logistics still of the trip but I feel lucky to have won and yes it was from your blog that I clicked on to enter. Thanks a bunch! I won tickets because of your site! Thanks Even Steven! Thanks so much for the nomination Alexander! I would love to meet up with you at FinCon (love a good real estate Guru)! Tweet me if you can make it; I live near to Charlotte, so I’ll definitely be making it out for Fincon. Youre very welcome! Haha I am no real estate guru but I appreciate the kind words. I was able to work out the logistics today and I am for sure going now. Booked and ready to go. I will be there thurs afternoon, all day friday and all day saturday. Ill send you a message when Im there. Looking forward to meeting you. It’s always fun to learn more about a fellow blogger. Pretty cool that you and your girlfriend have been cooking at home. To be honest, before I got married, the only thing I could cook was scrambled eggs…boil ramen noodles…and microwave tv dinners. Very sad. Cooking seemed intimidating but it’s really not that hard and I do enjoy learning to cook different things. Plus it’s a lot healthier than eating out all the time. Hey Andrew! I agree, i really like reading questions like this from other bloggers. It brings out a more personal touch to the blog and to for the readers for sure. Ha! I know all about ramen and eggs. I actually used to put the fried eggs into my ramen. It was so good! And cheap!